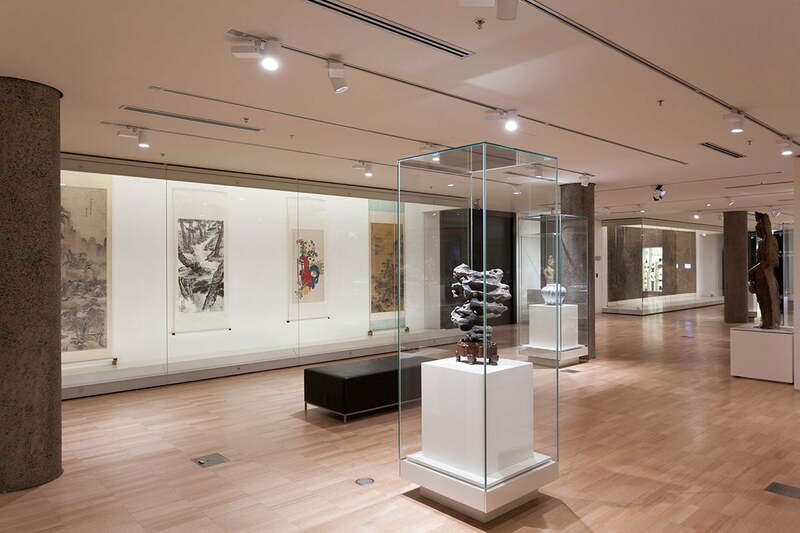 These refurbishments, both on the first floor of NGV International in St Kilda Road, take one of the standardised gallery spaces from the 2003 building renovation and transform them into a dedicated display space for the NGV’s extensive Japanese and Chinese, South and Southeast Asian collections. Both of these exhibitions were designed in collaboration with the NGV internal design team under strict curatorial guidance. 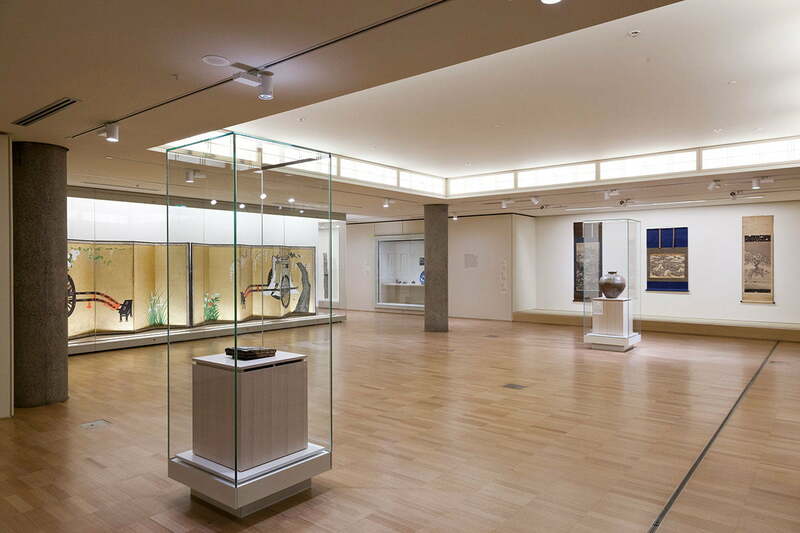 In keeping with the Japanese tradition the gallery uses natural materials, warm colours and a minimal aesthetic. A recessed ceiling coffer with backlit shoji lattice screens further evokes the atmosphere of a traditional Japanese space whilst providing welcome modulation to the modest ceiling height of the space. 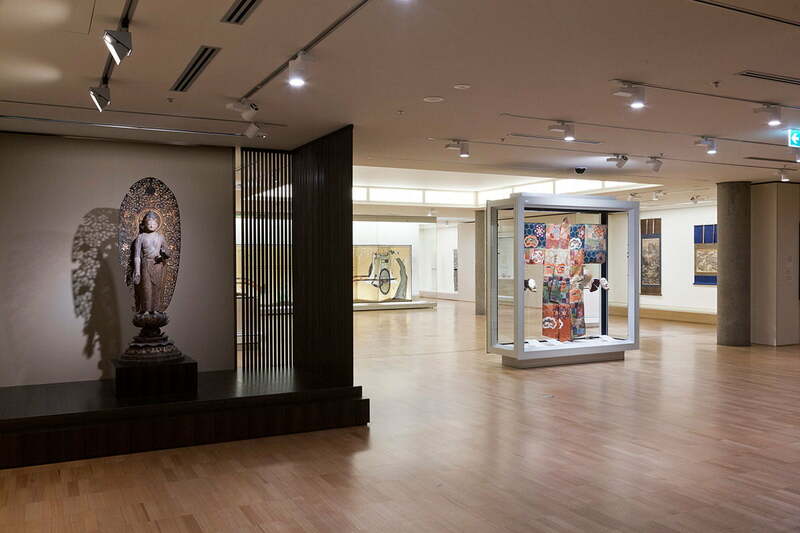 The gallery contains a number of separate displays focusing on different aspects of the collection, including historical Buddhist art, ancient Negoro lacquer ware, woodblock prints from the golden age of Ukiyo-e, Noh theatre robes, traditional tea ceremony utensils and contemporary ceramic works. Sprinkler and air conditioning systems were reconfigured, a state of the art custom designed lighting system was installed and display cases salvaged from the previous fit out were adapted and reused, whilst new custom made display cabinets were installed to showcase some of the signature artefacts of the collection. All this was carried out within the strict dust, noise, and vibration limitations imposed by working within an operating public gallery containing numerous delicate objects and a discerning public audience. 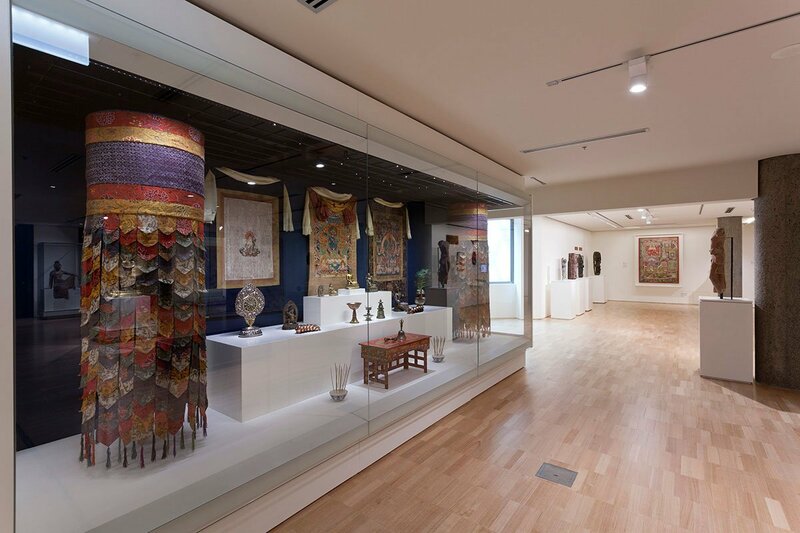 Artefacts displayed include paintings, calligraphy, prints, sculptures, ceramics, lacquer, jade, glass, furniture, and textiles. 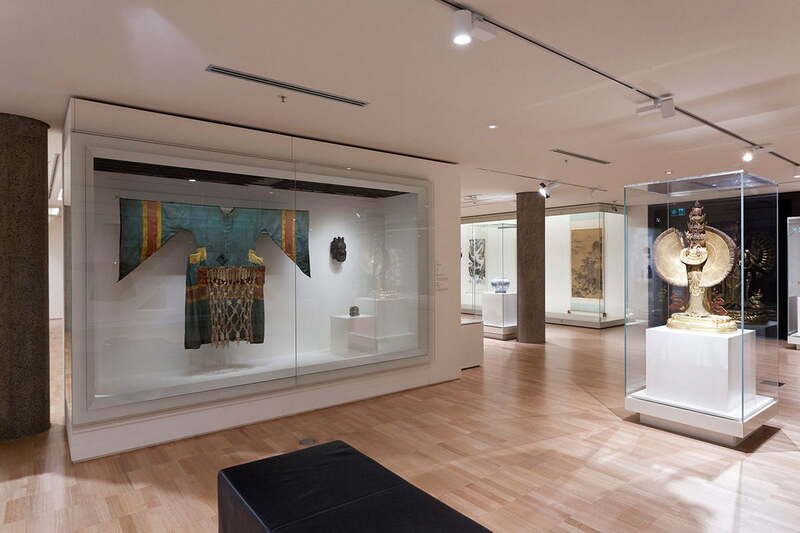 There is a section dedicated to Chinese works, and a section focusing on the visual cultures of Southeast Asia and India. They tell the story of the great religions of the region and of their development, artistic representation and influence. Whilst working largely within the bounds of the original space, two triangular niches have been cut through to previously covered windows, admitting controlled natural light to the north side of the space and creating a visual connection to through to the central NGV courtyard. 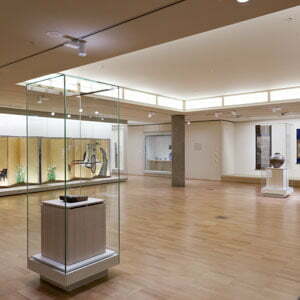 Sprinkler and air conditioning systems were reconfigured, a state of the art custom designed lighting system was installed and display cases salvaged from the previous fit out were adapted and reused, whilst new custom made display cabinets were installed to showcase some of the signature artefacts of the collection. All this was carried out within the strict dust, noise, and vibration limitations imposed by working within an operating public gallery containing numerous delicate objects and a discerning public audience.